We offer quality array of Galvanized Metal Profiles. Our product range is known for its high tensile strength, longer service life and high durability. These Galvanized Metal Profiles are available in different shapes, sizes and dimensions according to the client's specifications. We offer a wide variety of Kitchen Cabinet Aluminium Profiles for modular kitchen cabinets and wardrobes. These profiles are manufactured using finest quality aluminum. These profiles involve hassle free installation and are highly corrosion resistant. Our profiles are provided with a provision for installing glass. 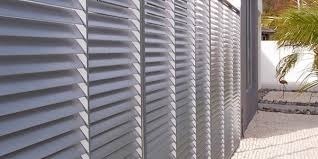 These shutter profiles involve minimal maintenance. Within a short period of time, we have gained a prominent position in the market, by offering a wide assortment of Aluminium Pipes. Ranges of our products are widely acclaimed for optimum quality, perfect finishing and varied thickness. Our Pipes are at par with the industrial standards of quality because we make use of high quality raw material in the production process. One can avail these products from us at competitive prices and with a time bound delivery assurance. By: Mohinder Singh & Co.